Gamescom 2012 is running wild. Never a company to shy away from the media, Sony's press conference was in full swing for the event. The conference saw the announcement of the Vita port of PlayStation All-Stars Battle Royale coming free as a download with purchase of the PS3 version. Head past the jump to see a quote from SuperBot Community Manager Daniel Maniago. "We’re also really excited about the promotional pricing announcement for PlayStation All-Stars that was made at today’s press conference. 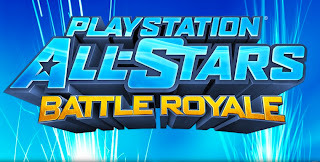 For all of you that purchase the PlayStation 3 version of PlayStation All-Stars – at retail or digitally through the PlayStation Network – you will be able to download the PS Vita version of PlayStation All-Stars from the PS Network at no additional cost. How awesome is that?!? Now you’ll be able to experience all of the great cross-save and cross-play features that PlayStation All-Stars has to offer on both the PS3 and PS Vita at one great price. So if you haven’t pre-ordered your copy yet, perhaps this news will pique your interest."